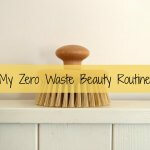 In an attempt to be more green in our home I have been working on reducing my bathroom waste. 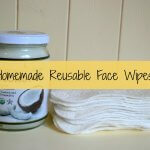 I’ve made several successful switches including making my own Homemade Reusable Face Wipes using an epilator and safety razor for shaving and Switching to Reusable Sanitary Pads. If you read my Zero Waste Beauty Routine post then you’ll remember that one switch I wanted to make was to start using bamboo toothbrushes. I managed to find some in our local zero waste store in Totnes. The brand I bought is called Hydrophil. They are eco-friendly, vegan-friendly and BPA free. You can buy soft, medium and children varieties. Toothbrushes were originally made of bone which of course is a natural material. Modern toothbrushes are made from a variety of different plastics including high-density polyethene and nylon. Both of which are not biodegradable. The majority of our plastic toothbrushes go to landfill or worse still end up in our oceans and washed up on beaches. 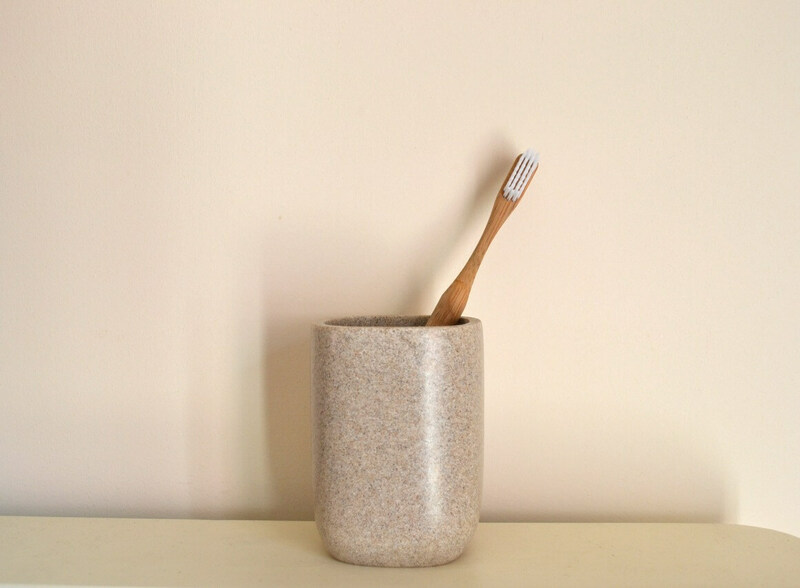 In the US it’s estimated that around 850 million toothbrushes end up in landfill every year. Sorry, I can’t seem to find any UK figures. If you know of any please do let me know. It’s no secret that we are starting to drown in our own waste, by switching to bamboo you’re making a good start in creating a solution to that problem. I started using my new toothbrush a month ago and I’m really happy with it so far. My teeth feel as clean as they did with a plastic brush. However, unlike the plastic ones the bamboo brush can be composted. Someone mentioned that it took them a while to get used to the wood taste in their mouth but I honestly haven’t noticed it. Unless of course, you stick your tongue onto the brush, which I don’t. You can get ones with different coloured ends like the one I have. This makes it easier to know whos is whos. They look awesome in your bathroom! Unfortunately, the bristles are nylon so they need to be put in the bin. To do this you can either snap or cut off the head or pull the bristles out with pliers. A bit of a faff but I feel it’s worth it for the reduced waste I produce. The bamboo brushes do cost slightly more than their plastic counterparts which again is annoying. I guess it’s a case of supply and demand if more people used them the cost would come down. The *Ethical Superstore has a small selection. Amazon has a *larger selection including the option of buying in bulk which makes it cheaper. 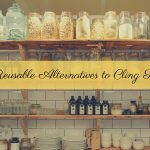 It’s also worth checking out your local organic/ natural living store to see if they have them. I’m really glad I made this switch and I will continue to use them. It’s another thing I can tick off my list. Yay! 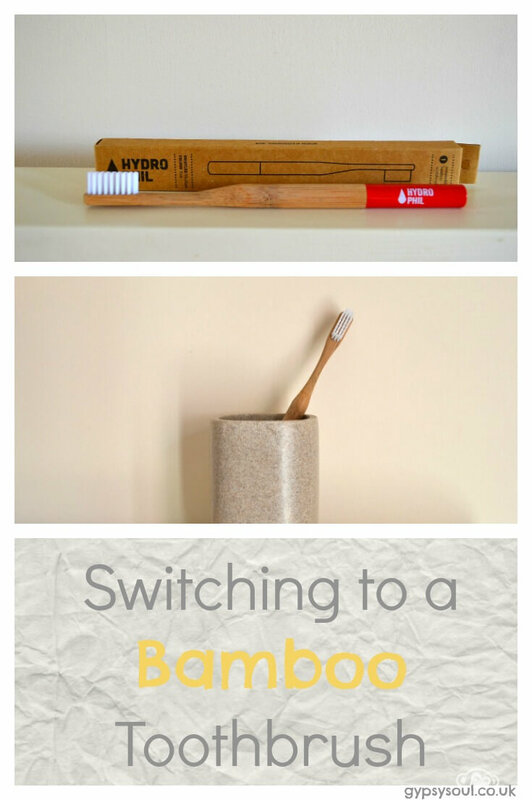 If you are looking for a simple zero waste bathroom switch a bamboo toothbrush is a great place to start. I started switching a lot of my products to bamboo but I have not found I toothbrush that I think works really well and has all the features I need for my mouth. I do love my bamboo kitchen utensils though. Tweeting and pinning. Visiting from #GoingGreenLinky! I’d like some bamboo kitchen brushes but I’m yet to find some that don’t cost the earth. I don’t like that the bristles are plastic which still is not biodegradeable but at least the handle is natural. Visiting from GoingGreenLinky. 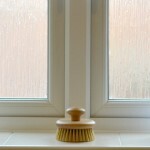 I know it’s certainly not ideal although I’m not sure what could be used as an alternative for the bristles? I recently switched to a bamboo brush after seeing them in my local Waitrose, I love it. I’ve now switched my partner and 2 children over too. I didn’t know that Waitrose sells them, Vicky. Do you remember roughly how much they are? Hi Leta, That’s not good! We definitely haven’t had that happen. 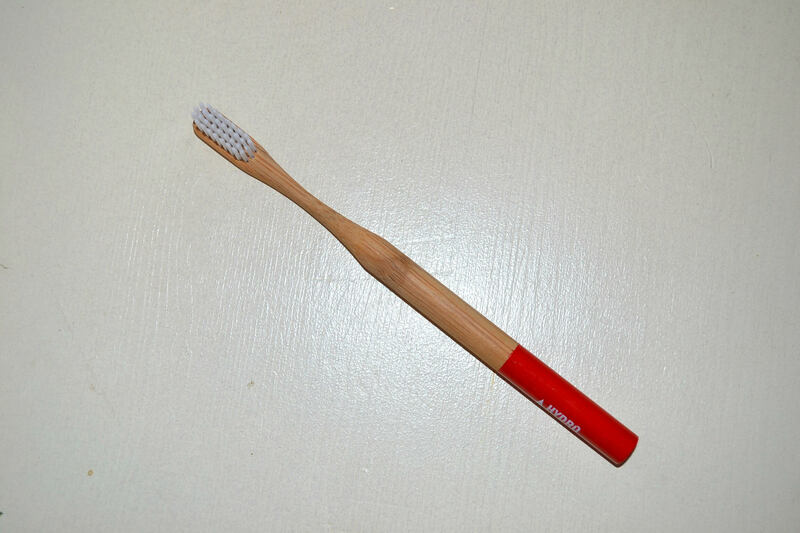 There is a brand called The Environmental Toothbrush and their bristles are made from BPA FREE polymer. I’m not sure if that is a better alternative to nylon or not? It’s still not compostable though unfortunately. As you said there isn’t an ideal swap out there but I’m happy with the bamboo ones for now as it’s still much less plastic waste going to landfill. Also, my local Waitrose has just started stocking them which is great. Some bristles are made from boar hair (obviously no good for vegans) but I don’t really like the idea of that. We use these and love them. Nice firm bristles. You can buy in bulk too which brings the price down. The whole thing is compostable. I have just done a bit of research on this and according to the manufacturer of this toothbrush, the bristles are not compostable. From their website… ‘The bristles are made from a BPA FREE polymer resistant to microbial growth during normal use, to ensure safety and durability. We have tried to find a biodegradable bristle but as of this time there is nothing available – apart from boars hair (don’t want to go there). I’m going to contact Living Naturally and ask them to amend their description. Such a shame as I’d love to find a toothbrush where the bristles can be composted too. Wow thanks for checking it out Gina. I was certainly taken in by their patter. That’s a real shame but at least, thanks to you, I can snap the heads off and just compost the handle now. It’s so annoying because I’ve been looking for a fully compostable one for ages! I’m interested in hearing their response as to why they said they were. At least, as you said, we can compost the handles which creates a lot less waste than the plastic ones. I make my own toothpaste and it works really well. I haven’t tried the Lush tabs but I’d be interested in giving them ago. Recipe would be great! Yes please! I use the toothy tabs and they are amazing! I always go for the minty ones over the whacky flavours but they are epic. Seriously never had such clean teeth. When me and my boyfriend first got them we just thought you chewed them…face palm. Once we worked out we had to brush as well we were instant believers! Do you get the ones from Lush? How do you use them? Do you let them dissolve and then start brushing? Think I might give these a go next. Love this – sounds great. The bristles situation is a bit annoying. I wonder if electric toothbrushes there you only switch the heads would be feasible or better than the normal plastic ones? I would say that yes the electric brushes with the changeable heads are better than the normal plastic ones as it’s only the heads that end up in landfill. Although, obviously still not ideal if you are aiming to go completely zero waste. Basically, I just couldn’t get it to work for my hair type! Which was very frustrating. I now use Lush shampoo bars and I love them! I’ve been using them for about 2 years now. Lush have recently launched an SLS free shampoo bar which I’m planning on trying when my current bar runs out. I’d highly recommend reading a book called Happy Hair – The definitive guide to giving up shampoo: Save money, ditch the toxins and release your hair’s natural beauty with No Poo by Lucy AitKenRead – https://www.amazon.co.uk/Happy-Hair-definitive-shampoo-release-ebook/dp/B00MDHSOVK It’s full of great tips for going ‘no poo’.